In 1999, he earned a certificate at the Center for the Study of Values in Public Life at the Harvard Divinity School, Cambridge, Massachusetts with the Summer Leadership Institute. In 2004, he presented a paper at the Oxford Round Table on Religion, Education and the Role of Government, entitled “When the Truth is Told — Educational Vouchers are a Sham!” — Oxford University, Oxford, England. Bracy responded to the Call of the Gospel of Jesus Christ in 1977, and was licensed by the Bethel Baptist Institutional Church of Jacksonville, Florida. On March 12, 1982, he was ordained to the Gospel Ministry at the Bethel Church and was called on the same day as Pastor of the First Baptist Church of Paschall in Philadelphia, Pennsylvania. 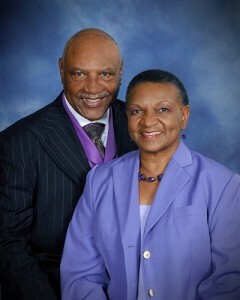 From 1982 through 1991, he served there as Pastor. In 1991, he was called to the Shiloh Missionary Baptist Church of Orlando, Florida. In August 1992, after much prayer, he and his wife, Dr. LaVon Wright Bracy were led to organize the New Covenant Baptist Church of Orlando. The present 30,000 square feet family life church facility which houses more than forty (40) ministries, ten full-time employees, and the church’s sanctuary for worship. Dr. Bracy continues to be involved in the life and ministry of several denominations through Bible conferences, lay academies, retreats, revivals and church growth conferences. He has served as Visiting Professor and Lecturer at the Lutheran Theological Seminary of Philadelphia, the Palmer Theological Seminary (formerly called the Eastern Baptist Theological Seminary of Philadelphia), and the Colgate-Rochester Divinity School, Rochester, New York. LaVon Wright Bracy was educated in the public schools of St. Augustine and Gainesvillle, Florida. She was the first African American to integrate the public schools of the Alachua County school system and graduated from Gainesville High School in 1964. In May, 2004, she was recognized by the American Association of Retired Persons (AARP) at the Library of Congress, Washington, D. C. during the 50 year celebration of the 1954 US Supreme Court – Brown vs. Board of Topeka Decision. LaVon received her Bachelor of Science Degree (B.S.) from Fisk University, Nashville, Tennessee Master of Education (M.Ed.) from the University of Miami, Coral Gables, Florida The Doctor of Education (Ed.D.) in Higher Education Administration, University of Florida, Gainesville, Florida LaVon began her professional career working as a college administrator. She spent ten years as a public servant as Assistant Managing Director for the office of homeless for the City of Philadelphia. Leaving Philadelphia, her family relocated to Orlando area where she became co-founder of the New Covenant Baptist Church of Orlando with her husband. She has made many contributions to the Orlando community. Her major accomplishments has been the organizing of Camp Covenant – a summer academic program and the Rio Grande Charter School of Excellence. She is the proud parent of Randolph and LaVon Bracy. Personal Particulars Born: Boynton Beach, Florida Parents: Reverend Thomas A.Wright, Sr., & the late Affie Clayton Wright Church Administrator and Founder of the New Covenant Baptist Church of Orlando.